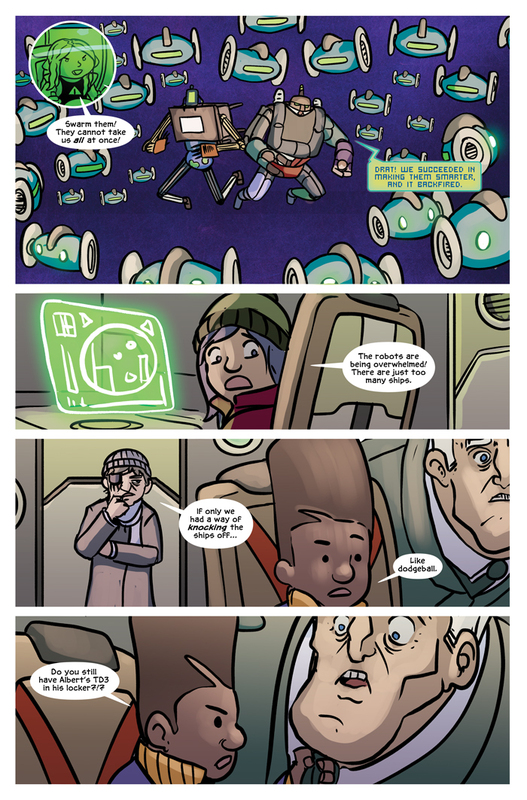 The robot substitute teachers are surrounded by space pirates, and are completely outnumbered. But Martin – the smartest kid in school – has a plan to turn it all around. But what could he want from the depths of Albert’s TD3 locker device?